Active, energetic and enthusiastic, Tamara is a junior at Gavar State University’s Faculty of Economics and Management. In addition to her studies, she works for the Youth Foundation of Armenia, an NGO that aims to help create a better future for Armenian youth through capacity building initiatives, seminars and discussion. While Tamara’s work for the Youth Foundation is mainly administrative, she also participates in the organization’s activities as much as possible. “Recently we paid a visit to Gavar Special School, during which we organized games like Guess the Melody. We even had volunteers who performed their favorite songs and dances. The day ended with dancing. Sometimes we also organize performances on the morals of Armenian fairy tales,” recalled Tamara. 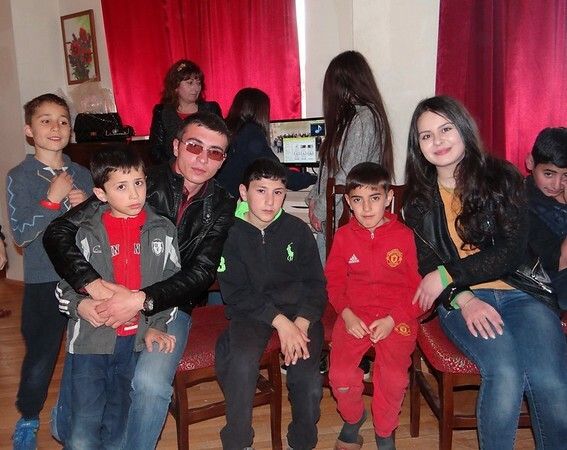 In 2016, Tamara was accepted into FAR’s Nishanian Scholarship Program, which has enabled her to pursue her education despite her family’s financial situation. “The tuition assistance is a great relief for me and my family because we couldn’t pay it on my mom’s meager nursing salary. Studying allows me to dream big and build plans for a better future for me and my country,” she said.